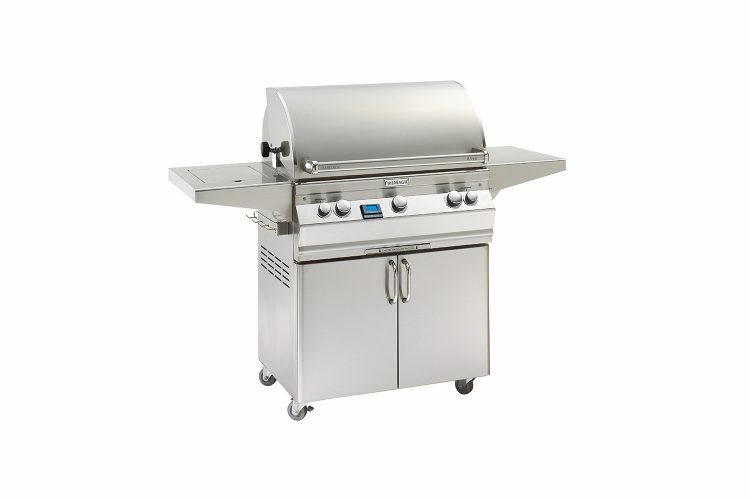 Take the precision performance of an Aurora Series BBQ and place it anywhere in your garden with their cart range. 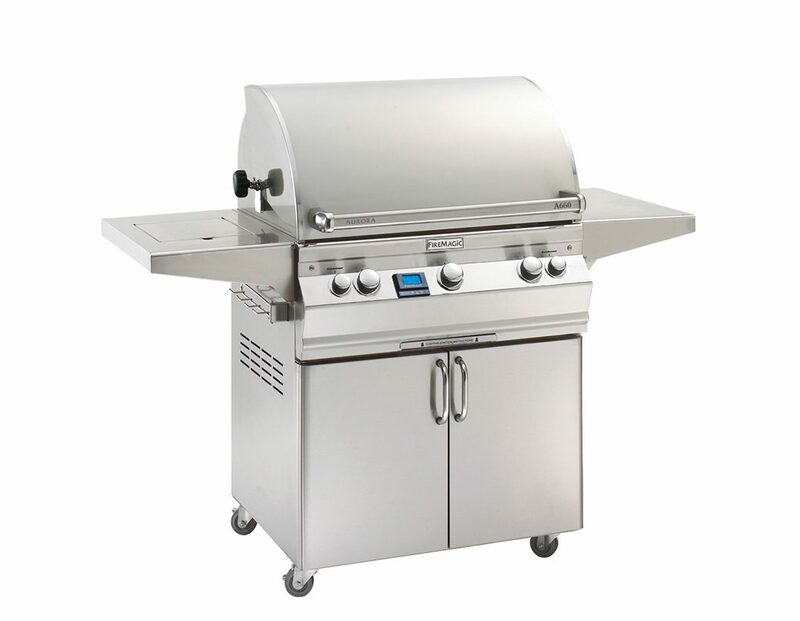 Fire Magic Aurora Series cart barbecues are run on propane gas with large cooking surfaces for high quality grilling and as with all Fire Magic products, feature the Fire Magic lifetime warranty on purchase. 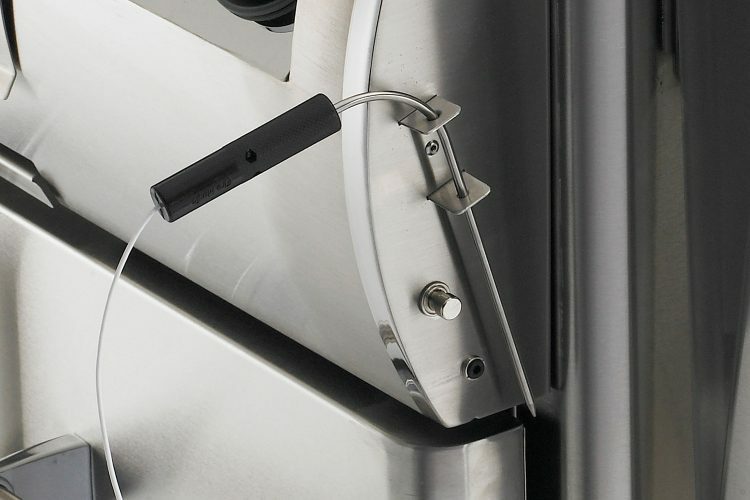 Angled at 40° for easier operation and comfort touch grips for safety and convenience. Sturdy, durable cabinetry crafted to the same standard as the Fire Magic barbecue above. 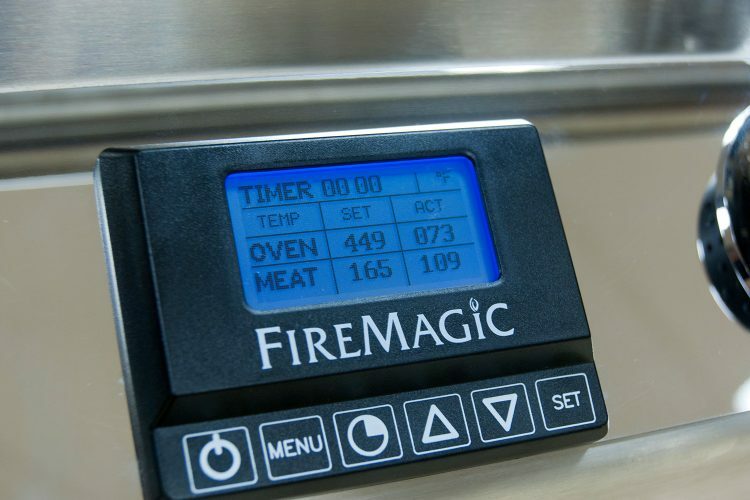 Digital thermometer in control panel with meat probe for precise temperature control. 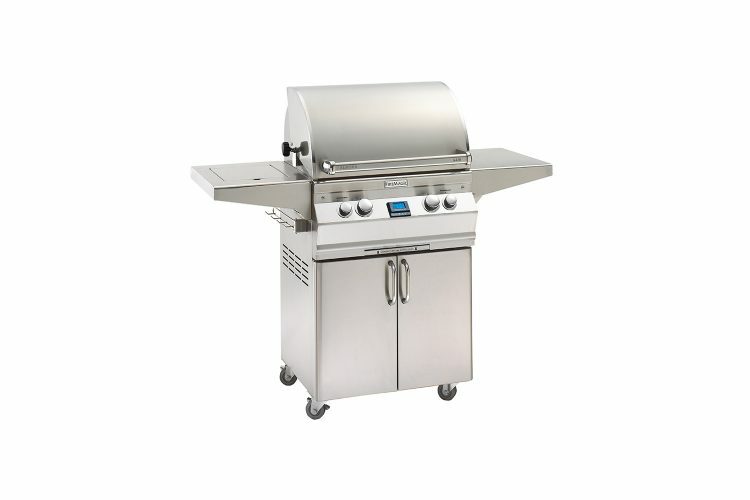 Secure side shelves with preparation space and a powerful side burner for preparing additional dishes. 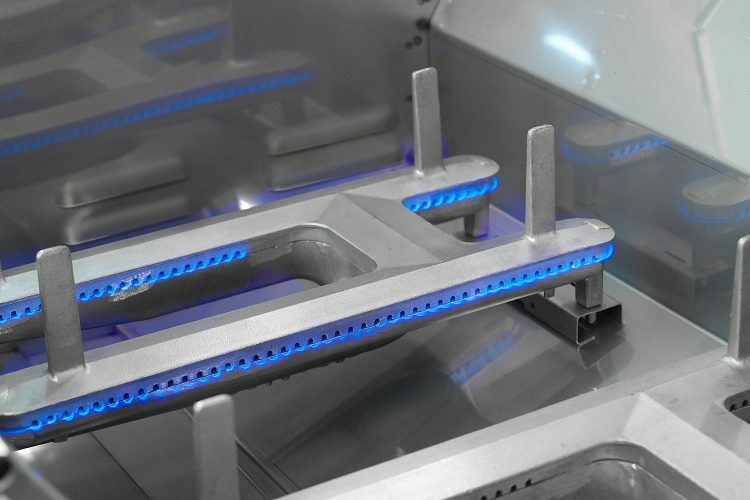 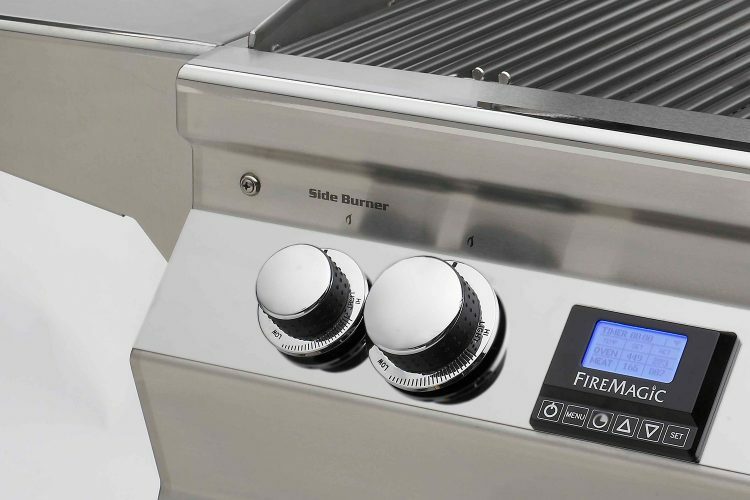 Connected directly to the Digital Thermometer on the front of the Aurora barbecue is the Meat Probe, aiding accurate and efficient cooking. 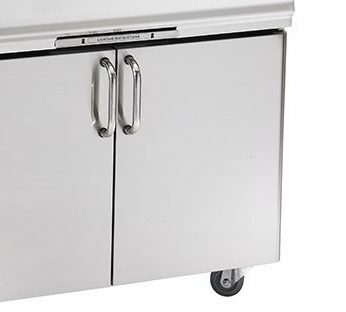 Secure lockable wheel castors and premium cabinetry ensure your location is maintained with ease during grilling. 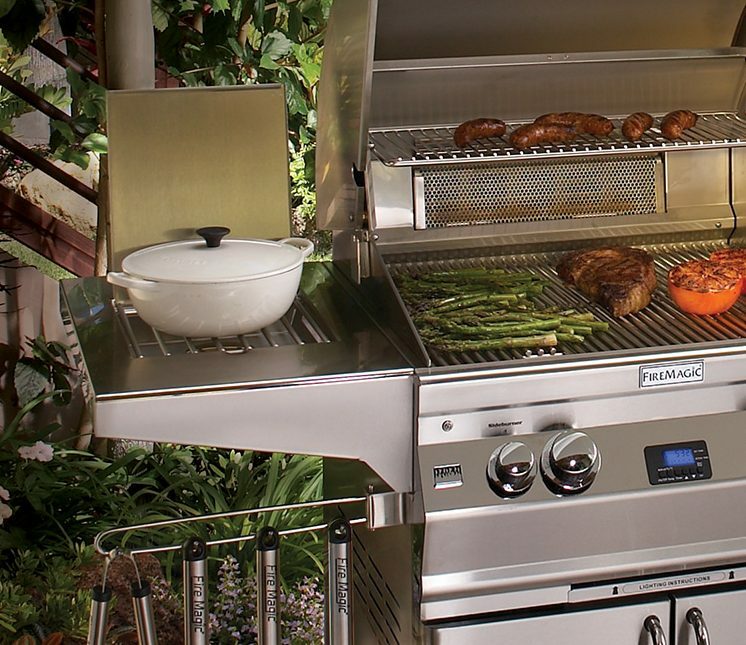 Store everything you need inside and take advantage of the reliable performance of an Aurora Series BBQ.